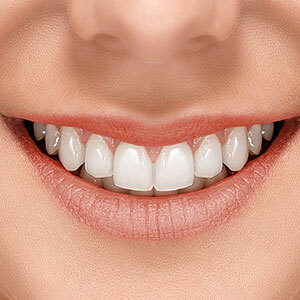 Now that you got your dental veneers learn how to properly care for them. Congratulations on getting a brand-new smile with dental veneers. It must feel great to be able to flash a gorgeous set of pearly whites. With your dental veneers comes a renewed sense of self-confidence in your appearance, and of course you want to keep it that way. That’s why it’s important to follow all instructions that your Des Plaines, IL dentist gives you to make sure that your dental veneers truly last. You’ll be pleased to hear that porcelain veneers are pretty resilient and can be cared for very similarly to natural teeth. This means that you should continue to brush with regular toothpaste twice a day and floss daily. Keeping up with your oral hygiene will ensure that your veneers last a long time and that your smile remains healthy enough to support your veneers. Bad habits such as nail biting or teeth grinding can put unnecessary pressure on your veneers, which can pull them off or cause damage. If your veneers come off you’ll have to spend some unexpected time seeing your Des Plaines dentists Dr. Roman Dziubyk, Dr. Marc Miller and Lorelei Grise' so we can replace your veneers. Skip all the drama by stopping these habits for good. Wearing a custom mouth guard while sleeping can often combat teeth grinding, and we would be happy to offer up some ways to keep those nails out of your mouth! Even though your veneers are made from durable, resilient porcelain it doesn’t mean they are impervious to all damage. This means nixing bad habits like opening bottle caps and packaging with your teeth. If you want to protect your new smile then grab those scissors the next time you can’t get into that tough plastic packaging and save your teeth for chewing your food. Speaking of food, there are a few changes you may want to incorporate if you want your veneers to have a longer life. To prevent damage, you will want to cut up hard, tough foods like apples or steak into chewable pieces to make it easier on your new smile. Furthermore, to keep your veneers looking pristine you should also avoid stain-causing foods and drinks like berries, coffee, wine and tomato sauce. No oral care regime would be complete without routine visits to your Des Plaines dentists. Let Suburban Family Dental keep your veneers and your smile healthy and free of cavities and other common problems. If it’s time to schedule your six-month visit, pick up the phone and give us a call!